Ignite your senses with the aroma of a smooth, delicious cup of Nuvia Trim made from the finest Sumatran Arabica coffee bean. 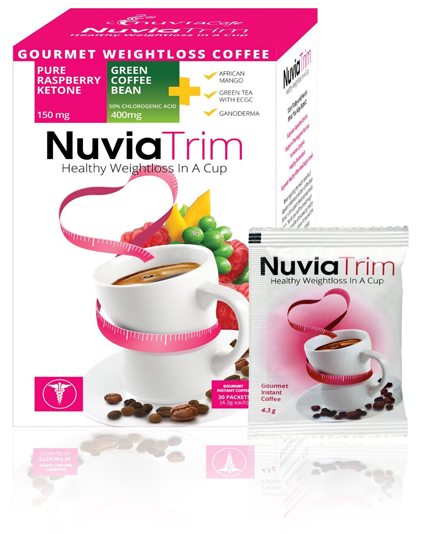 Roasted to perfection, Nuvia Trim is richly flavoured coffee containing powerful weight optimizing extracts of Green Coffee Bean (400mg - 50% Chlorogenic Acid), Raspberry Ketones (150mg), Green Tea, Ganoderma and African Mango. 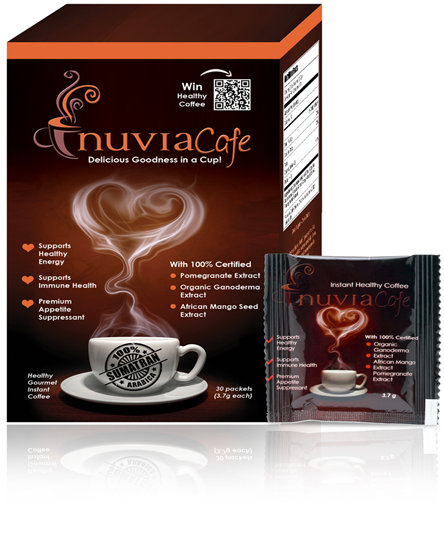 Nuvia is Sumatran Arabica coffee infused with a blend of three legendary ingredients: Ganoderma (an immune enhancer), African Mango (a natural appetite suppressant) and Pomegranate (a super antioxidant). ​​​According to Nuvia, the Sumatran coffee beans are "roasted to perfection yielding a superior flavor that is rustic, yet rich and full bodied".